The banks in Cha-am are located around the main junction. The Siam Commercial Bank and the Bangkok Bank are also on the beachfront. ATM are all over the place, just like anywhere else in Thailand. You can pay by credit card in major hotels and upscale restaurants, but paying by cash is more convenient (and safer) in most of the places. 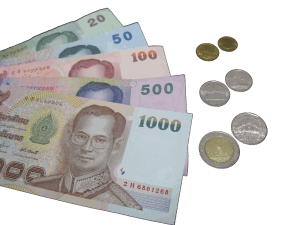 The currency of Thailand is the baht. It is subdivided into 100 satang. There are 1000, 500, 100, 50 and 20 banknotes. Silver coins are 10, 5, 2 and 1 baht, and copper coins are 50 and 25 satang. 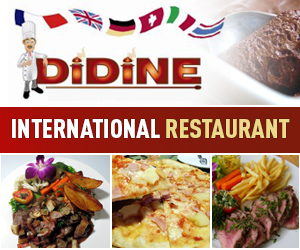 Click here to check the rates used within Thailand. 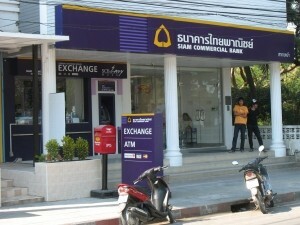 All major banks have a branch in Cha-am: Siam Commercial Bank, Bangkok Bank, Krungthai, Kasikornbank, Ayudhya (Krungsri), etc. Banks close at 3:30 pm but you can exchange money until 5:00 pm. Banks are closed on Saturdays and Sundays, and on public holidays. 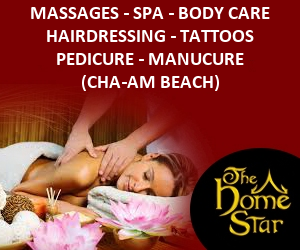 For more information, see our page about Thai holidays. 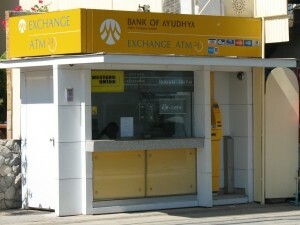 ATM withdrawals are limited to 20,000 baht per transaction. If your bank granted you a higher limit, you just have to make a second transaction. So you need to make three withdrawals in a row to get, say, 50,000 baht. 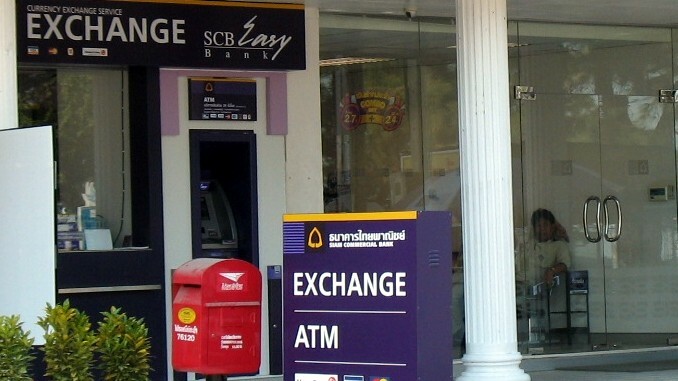 Be aware that ATM from most banks charge a 150 baht fee on any withdrawal made with a credit card from a bank abroad. 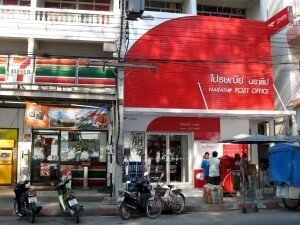 There are two Post offices in Cha-Am. The main one is located near the train station and the police station (western end of Narathip road) and a smaller one is located on the beach front, between soi Cha-Am North 5 and soi Cha-Am North 6. 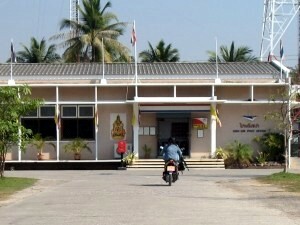 Narathip Post office on the beachfront. 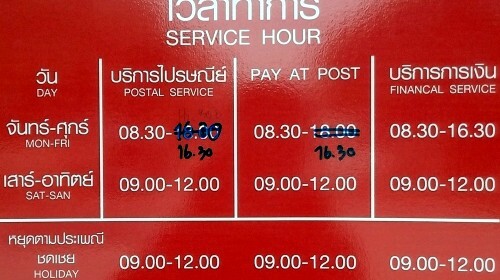 Opening hours of the main Post office. 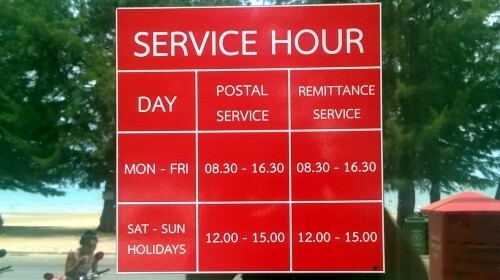 Opening hours of the Post office on the beach road. A parcel to/from inside Thailand can take a week to arrive, or can take longer, or can take much longer. To send a letter or a parcel faster, you can use EMS (Express Mail Service). They keep the letters only one week before sending them back, so make sure you check often if you’re expecting something. Postal boxes are also available in limited numbers.